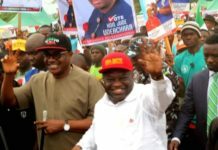 In this interview, Samson Orji, a former commissioner and leader of the ruling Peoples Democratic Party (PDP) in Abia State, explains to THE NATION, why PDP and some other leaders in the state are against Uche Ogah’s moves to claim Abia governorship seat. 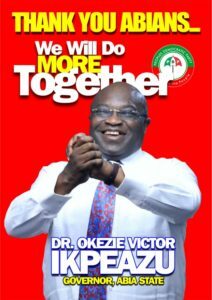 You have been a major player in Abia State politics. What we are witnessing now in the state politics is giving everyone concern. 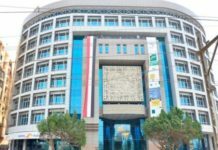 Given your deep experience both as a lawmaker and in the executive aim of the of the state government, right from the days of former Governor Orji Uzor Kalu and the immediate past Governor Theodore Ahamefule Orji, when you served as commissioner for commence and industries, what would you say is the problem? What is happening in Abia? The problem, I think, is that somebody wants to become popular even though for a wrong reason. Somebody wants to be known for the wrong reasons. This is because it is unimaginable how somebody will attempt to be an elected governor without first contesting in an election. I suppose what you are asking is about the young man, Uche Ogah, who is laying claims to the governorship seat of Abia State, who wants to hijack the governorship seat through the back door, isn’t it? What I am saying is that there is argument over who is the governorship candidate of PDP, because it seems settled that PDP won the election. Now after winning the election, three people are laying separate claims to be the right candidate. Why do we have to have this problem in Abia State? Yes, just as I said earlier, the problem is that Uche Ogah wanted to be popular and has in fact achieved that aim of being popular, but we all know it is for the wrong reasons. In years to come, decades to come, people are going to point to him, refer to him sarcastically as the guy who made desperate attempt and failed because he is never going to succeed. Now, let me say this clearly that you cannot become a governor when you never contested in a governorship election. People have put up their opinions concerning what is happening in Abia State but the truth remains that the political party, PDP, conducted its primaries and followed the processes and this young man participated in the primaries and he lost out. So, when he lost out, what we expected him to do was to join hands with whoever that emerged the candidate of the party, in this case, Dr. Okezie Ikpeazu, and help to build the party, go for the election and wait until it comes to us. Until it comes to us! How do you mean until it comes to us? Who are these us? The Abia North! I am from Abia North like Uche Ogah and that’s why I am qualified to speak to you on this issue. There are moral issues here and there are legal issues. There are issues that bother on equity and there are political issues! None of these balances to the favour of Ogah. None! If you come to the equity part of it, we have what is called Abia Charter of Equity. If you go through the charter, the following fathers of the state agreed that power will rotate between the Old Bende Division and the old Abia Division. Old Bende Division is now made up of Abia North Senatorial Zone and half of Abia Central, while Old Aba Division is now made up of Abia South and half of Abia Central. We stated it with Ogbonnaya Onu from Old Bende before the creation of Ebonyi State. Then, Orji Uzor Kalu from Igbere, also in Old Bende, ruled for eight years. After him, Theodore Orji, from Abia Central, the part that is also from Old Bende, took over and ruled for another eight years. That is 16 straight years after Onu. 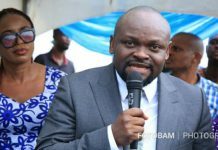 Equity therefore demands that Old Aba Division, made up of the Ngwa Clan and the Ukwa people should be allowed to govern. 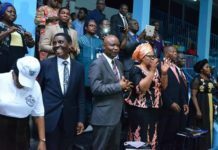 But Ogah did not want to wait; instead of waiting, he decided that he has a faster method; he decided to overrule the decision of the majority of the founding fathers of Abia State as reflected in the Charter that power should rotate. But there was even a bigger opponent than Uche Ogah. That was Alex Otti, who the whole big shots in Nigeria knew. They gave him money, gave him everything to emerge but because of this same factor; that it was not the turn of Abia North: Alex Otti is from my local government, even though he claims to come from a local government in the south, but this very local government is still in the central, and God knows that the cries of some of us, I call it the real men of Abia North, when issues of this nature come up, it is time to separate the real men from the boys. 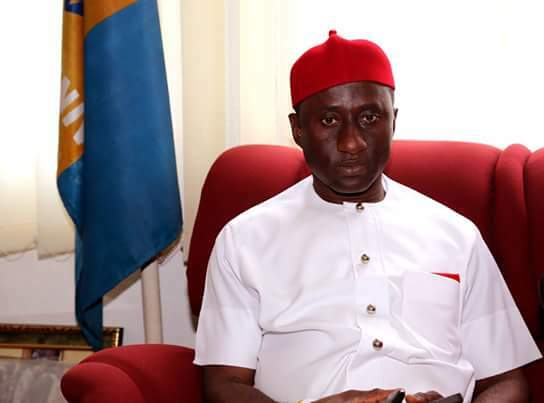 The boys are people like Uche Ogah, who have not attained political puberty; because if he had, he would have seen the wisdom in allowing the south, made up of Ukwa Ngwa, to take a shot; he would have seen the need to support them. When Ikpeazu finishes his tenure, when it rotates back, anybody from Abia North can now vie. Uche is still a young man. He is probably 10 years younger than me. You must have equity on your side first. We are not yet as civilized as America where one family can continue to govern. The reason for zoning, you have seen at the centre. Amongst all, it helps to develop all the areas and gives all a sense of belonging. The argument Ogah is making is that he is second in the PDP primaries and that if PDP’s candidate is having issues, just like what happened in Kogi State, instead of power leaving PDP, let the aspirant that came second in the primaries take it. Now, Ogah is still a PDP member, why are you people, PDP leaders, so much against him? The Kogi you just made reference to is different. Why? The man died. He didn’t need an appeal on any matter. Abubakar died after the election. Now, Uche Ogah went to court, trying to exploit the provisions of the Electoral Act, where it said one can go to court in a pre-election matter; that is considering that the tax issue was a pre-election matter because the jurisdiction was not rested on the tribunal; it was rested on the ordinary court and they gave him judgment. Now, let us assume the judgment was given in a fair manner; the question is, assuming the judgment was to execute Okezie Ikpeazu, so the next day, will you execute him? What happens to the 21 days allowed by law to seek redress if you think that this court presided over by one man did not hear you fairly? Appeal cases are usually heard by three persons, four persons or more. 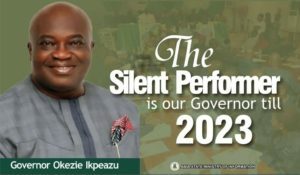 Even if Okezie Ikpeazu was not a governor, the law allows him to file an appeal against the judgment to say it was not heard properly, or I do not agree with the judgment. They said no. This is the aspect where even people who are not lawyers are saying, no, there must be something else. Why won’t they allow a man, who is a governor, to exercise his right of appeal? After the appeal court, he still has the right to go to the Supreme Court. Why is Ogah so much in haste? Is it not because what he hatched was a civilian coup? By giving an order to swear him in immediately, the judge gave what they call consequential order, which he has no powers to give, since his is not an election petition tribunal. He could have said something like this: the tax is faulty; you were not qualified to contest for that election. INEC is therefore advised to do this or that, or INEC should be advised to conduct another election. As a judge, he should know the law, the amendment of the law; he should know that the Supreme Court has changed the precedent set by the Amaechi’s case when it ruled that when a party fields a candidate, the party is only a vehicle, a platform; that the people voted for the candidate they saw sitting on the platform; that the people were more interested in who sat on the platform; so, knowing about that latest supreme court judgment, I will not just reject that Abuja judgment, I will also resist Uche Ogah from being sworn in. It’s just like me seeing a man killing a fellow citizen by the roadside and moving in to save him, though I am not a law reinforcement agent. That is why people are against Uche Ogah per se. So you expect the Appeal Court to change the judgment in favour of Ikpeazu? Yes! The Appeal Court will change the ruling for so many reasons. Let me tell you one. Many people discussing this matter assumed that the judgment was right. But that judgment was not right at all. How? 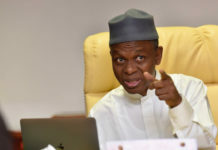 How can you convict me on forgery when the maker of the document, especially when the maker of the document comes to testify that he is the maker of the document? But Ogah’s allegation was false information in his tax clearance form, not presentation of forged tax document? The fact is that they are accusing him of providing false information on oath. This is perjury and the position of the law is that in a case of perjury, the standard of proof must be that of criminal case and that is proof beyond all reasonable doubt. In other words, it must be treated as if he had accused him of forgery. This was not done in Abuja, unlike the same case in Owerri where the court told Nwosu to prove his case. Because I know the Court of Appeal will be diligent, I know it will rule against the Abuja Federal High Court’s ruling. Now, what if the Court of Appeal and the Supreme Court uphold the ruling of the Abuja High Court? If these happen, how will it impact on the politics of Abia? The two superior courts can’t uphold that ruling. So, I don’t even want to imagine how such development will impact on Abia but I know it would be too catastrophic. However, think it is impossible. The worst case scenario is if the Supreme Court says, you are not qualified to have been elected in the first place, what they will do, because we are under rule of law, is to go to the spirit behind the letters and ask INEC to conduct a fresh election in Abia State. That is the worst case scenario. They can’t say Uche Ogah go and take the seat. It is the law that guides the judgment of courts. 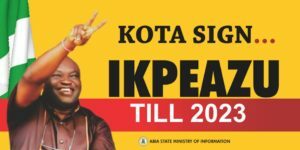 Some say Okezie Ikpeazu is not fully supported by top leaders in Abia South because they feel he was the choice of former Governor T.A. 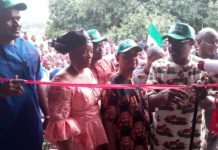 Orji and not the true choice of Ukwa Ngwa stakeholders? Senator Theodore was brought by Dr. Orji Uzor. Everybody, including me, was against Theodore for being brought by Orji Uzor. But when the chips were down, we decided to give him a chance; let’s see who he is. This vehicle has been used. God will always use human instrumentality. Now, if you don’t like Ikpeaza, not because of his person, but because of who brought him, it is important to realize that there is nowhere he would have emerged without that support. It is happening everywhere including the United States of America. 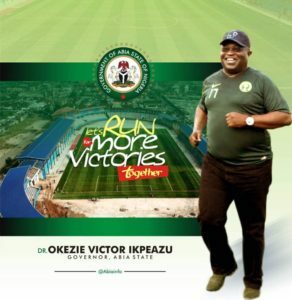 Ikpeazu is their son. They have to support him.